I absolutely love my headphones. They charge up fast, which I really like because when I want to listen to my music I want to listen to my music and not have to wait for the headphones to charge. 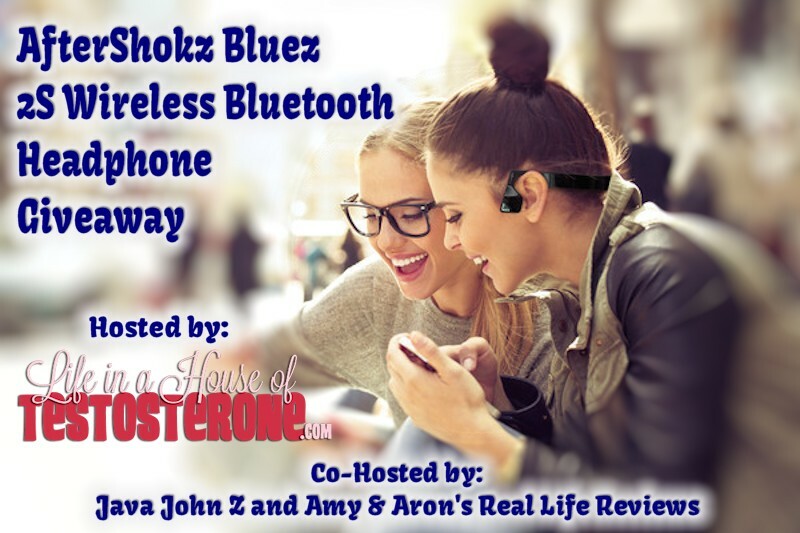 As a mom, it’s nice to be able to drown out the husband and the kids with my headphones at times, but there are other times when I really need to be able to hear what is going on, and the AfterShokz Bluez 2S headphones do just that. This thing called Bone Conduction Technology is freaking phenomenal. Let me warn you though, if you’re used to your ears being assaulted with bass from your music, the bone conduction technology is going to take you a few listens to adjust yourself to. Once you get used to the tingling on your temples, you’re going to love it! My daughter loves mine and wants a pair for when she is running and biking, so she will be getting a pair later this year for her birthday! You don’t have to wait though! You can enter our giveaway right now and win a pair of these phenomenal headphones for yourself or a friend! I absolutely love what AfterShokz offers, just can't afford them myself. Another product that looks awesome are the Sportz M3 headphones just because of the mic and smaller size!